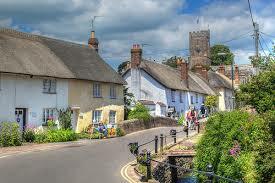 East Budleigh is a picturesque village situated in an Area of Outstanding Natural Beauty within East Devon. It's only two miles from the sea, with the coastal towns of Sidmouth and Budleigh Salterton nearby. The city of Exeter, the county town of Devon, is just ten miles away. The village was formerly a medieval market-town and a port, trading mainly in wool, until the river Otter silted up in the 15th century. Now, it's a pleasant place to live or visit. 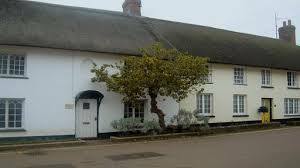 There are many attractive cob and thatch houses and a number of good examples of East Devon farmhouses. Notable buildings in East Budleigh include the Tudor mansion at Hayes Barton, the birthplace of Sir Walter Raleigh in 1552, and the church of All Saints at the head of the village built in the 14th century. 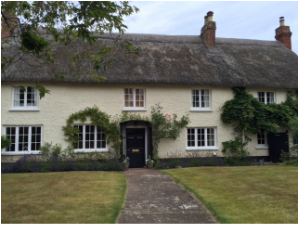 Christopher's is a Grade II listed cob, stone and thatch cottage which stands at the junction of Frogmore Road and Budleigh Hill. It was originally the village tannery where buckets were produced for the Tudor navvies. 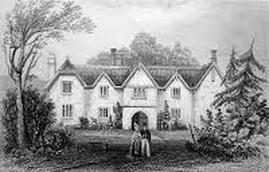 In 1830, the village's first doctor, Dr Christopher, purchased the building and had it converted into a house which became known as Christopher's. In 1850, Dr Christopher gave £25 to a group of Devon Baptists to build a chapel on land behind his home. This was subsequently converted into a house now called The Old Gospel House. East Budleigh is located in the unspoilt Otter Valley. 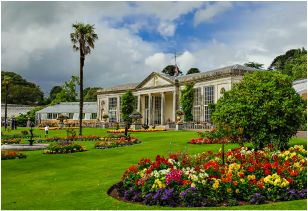 Nearby attractions include Bicton Park with its beautifully manicured gardens and Bicton Arena which is host to major equestrian events. And, of course, there is a statue in memory of Sir Walter Raleigh at the top of the village opposite the church. 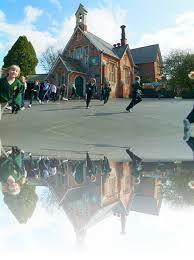 The village has a primary school, a community shop, a village hall, a garage, two pubs and recreational facilities. There is a regular bus service to Otterton, Budleigh Salterton and Exmouth.